Well, you didn’t see this one coming, did you? Or wait, you did. The Galaxy Note 9, ladies and gentlemen, has a headphone jack (or port, since the jack is on the headphone). That’s in addition to the impressive specs inside, along with a 4,000 mAh battery, a Bluetooth-powered S Pen, up to 512GB of storage, IP68 water resistance, and more. Samsung might be delaying the “future,” a word other companies use to justify removing the headphone jack from their devices, but hey, at least we can all avoid the dongle life with the Note 9, right? Of course, one can say all of this is expected on a phone that costs 1000 euros in this day and age. But it’s only the Galaxy Note 9 that will provide it to the consumer in the coming months. The only thing we can see ourselves being disappointed by is Samsung’s usual software update delays. Android 9.0 Pie probably isn’t coming out for the Note 9 this year. 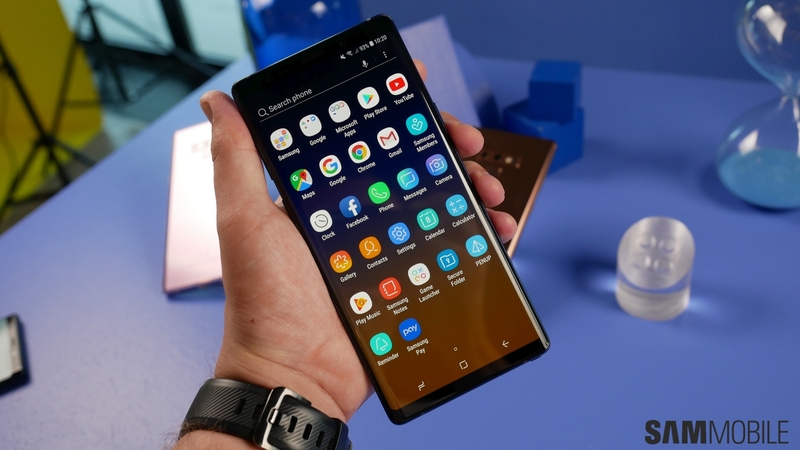 Even if it does, it will most likely be sometime in December, nearly four months after the Galaxy Note 9 will hit retail shelves. Hopefully, the Galaxy Note 9 won’t reveal any glaring problems that might have sneaked in because of everything Samsung has tried to pack inside. The battery probably went through enough checks to make sure the Note 7 debacle isn’t repeated, but we hope the overall experience is as good as we’re expecting it to be based on the on-paper specifications. Based on the Galaxy Note 8, it should be, but you will have to wait for our full Galaxy Note 9 review later this month to find out. For now, check out our hands-on impressions of the Galaxy Note 9. Also see what we think about the new Galaxy Watch, which Samsung unveiled alongside the Note 9 today. The post Fun fact: The Samsung Galaxy Note 9 has a headphone jack appeared first on SamMobile.